It is revealed how Ai Enma became the Hell Girl. 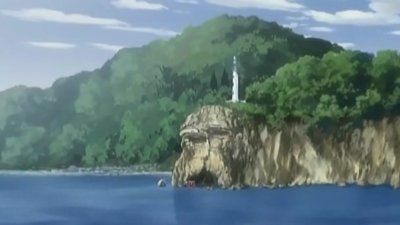 It also turns out that Ai Enma had been buried alive as a ritual sacrifice by Sentaro Shibata, her very own best friend. Ai Enma attempts to persuade Tsugumi Shibata to send Hajime Shibata, her very own father, to hell. 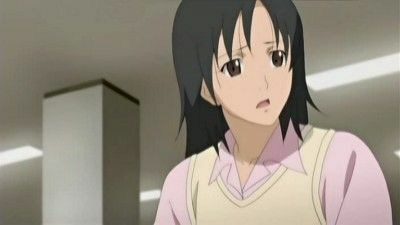 She urges Tsugumi to do so by using the case of her late mother, Ayumi. Yuzuki lived happily with her parents, until her father, a bus driver, died in a bus crash due to faulty brakes. The whole town accused the Mikage family of murder and being irresponsible. Sick and without means to support herself she decides to leave. 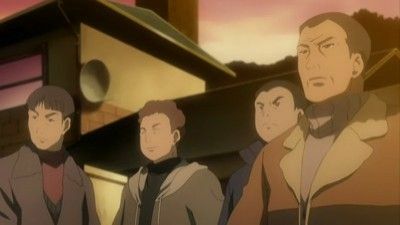 Mr. Tsuyuki and Mr. and Mrs. Hasue, among others, have formed a mob. 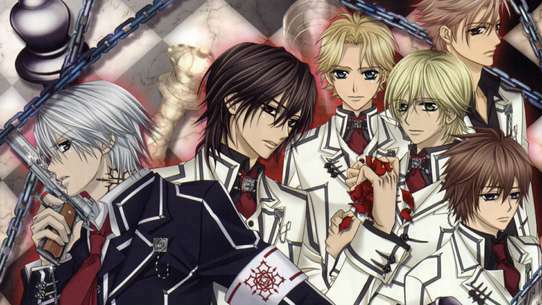 Mr. Tsuyuki convinces the others that they must kill Takuma. 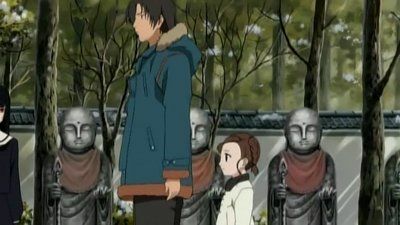 Hotaru looks for her brother, who is nowhere to be found, but she finds the book about Hell Girl, and runs away with Takuma. 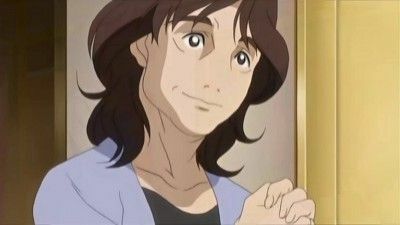 After the recent tragedies that have occurred in his family, Takuma is suspected of having murdered his mother and gravely wounded his father, but has not been arrested due to the lack of evidence. 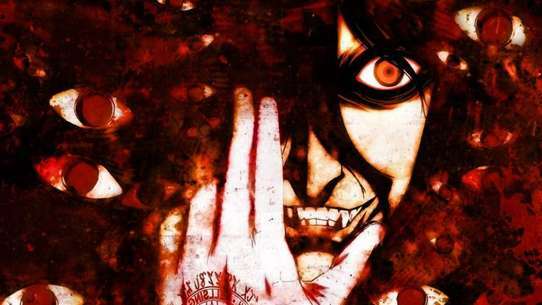 The townspeople continue to suspect him, and call him the "devil's child". 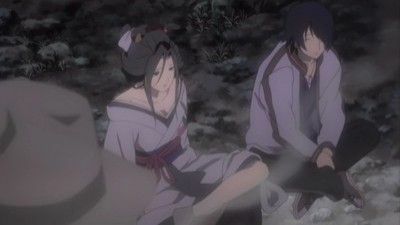 As Takuma tries to piece his life back together, he meets a young girl, Seri, who happened to live near him before her house was torn down to make way for a train station that never materialized. Having been emotionally attached to the house, she intends to have her revenge against at least one of the persons who had ordered her house's destruction in the first place. People are disappearing one after the other in the town of Lovely Hills - Mr. Mariyama is sent to Hell by his daughter who hates him for scolding her. A woman named Akiko sends her husband to Hell because she regrets marrying him. Then Akiko's friend sends her to Hell, because she's always hated Akiko, and so forth. All of the disappearances are blamed on Takuma. 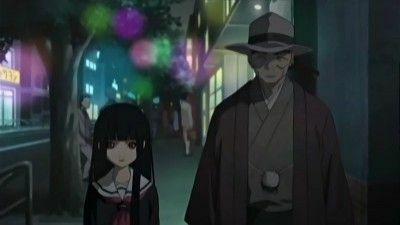 While the disappearances are happening, Detective Meshiai goes to the library and finds the book written by Shibata Hajime about Hell Girl. Naowa sends a coworker to hell because of his suspicious behavior. Yuzuki realizes that nobody at school or in her neighborhood knows who she is. Tsugumi has given up hope of stopping the Jigoku and concludes that Yuzuki is not a person of this world anymore. Tsugumi notices that all this time,Yuzuki's life was an illusion.When Yuzuki returns home, she finds her apartment in derelict state and makes a horrifying discovery in the ruins. Baba Shouko is a teacher everyone dislikes because she frequently scolds students and is very strict. A fake Hotline to Hell was created by somebody and it is circulated among students who were just scolded by Baba sensei. Tracing was carried out and they concluded that a student named Ikami Waka created and circulated the fake Hotline to Hell. 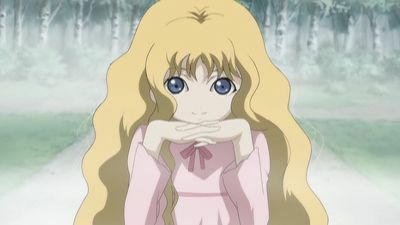 However, Ikami claims that she did not do it. On the same night, another teacher named Kuriyama Mami calls Ikami and tells her that it was Baba who made the fake Hotline to Hell, blames her for it and told Ikami to come to school. Mami-sensei waits in school for Ikami to come and tried to convince Ikami to access the real Hotline to Hell to send Baba to hell. To her surprise, the one who turned up is Ai. Mami and Ai already knew each other from their pasts. The truth is Mami was the one who created the fake Hotline to Hell and blamed the students for it. 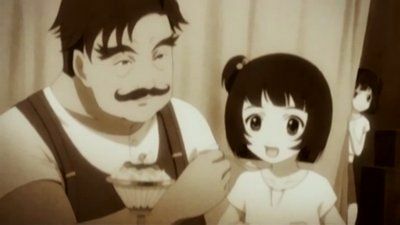 It was all because Baba scolded Mami when she was young and she blames Baba for all her problems. Baba comes and types in Mami's name into the real Hotline to Hell, as a punishment for an attempt to use her students as sacrifices. Baba agrees to go to hell as she blamed herself for coaching a teacher like Mami. 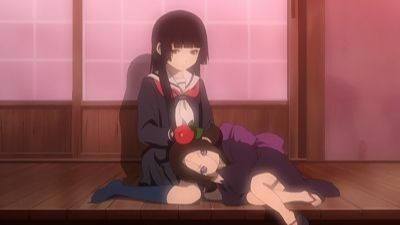 Hajime and Tsugumi Shibata are still searching for the Hell Girl. 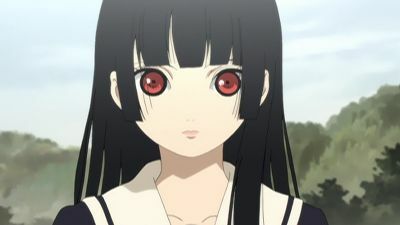 After finding out that they are related to Sentaro Shibata, a former friend of the Hell Girl, they are then confronted by Ai Enma. Mr. Kimiko insults Mr. Narito's singing during a community choir practice. 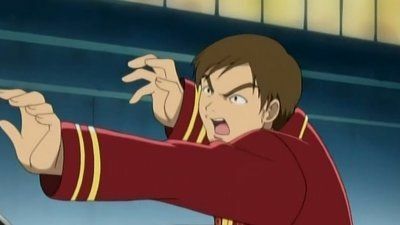 Mr. Narito becomes so enraged by this petty insult that he sends Mr. Kimiko to Hell, and blames Takuma for Mr. Kimiko's disappearance. To keep up the ruse, Mr. Narito sets up a vigil outside Takuma's house with other neighbours. 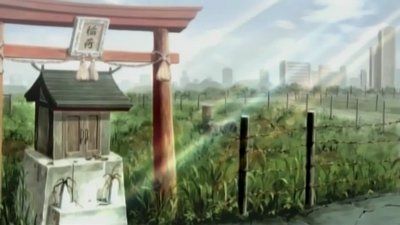 In this episode, Enma Ai meets a small girl who reminds her of something memorable. 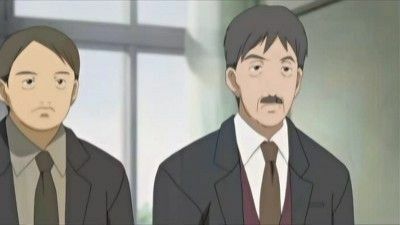 That girl's dad is researching Jigoku Shoujo and the Hell Correspondence, trying to write an article called "The Truth about the Agent of Revenge" about them. 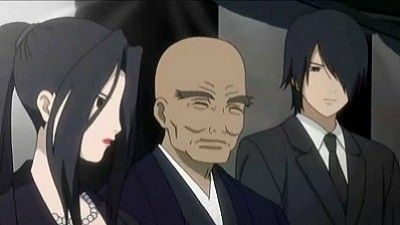 His daughter however, acts weirdly due to her encounter with Enma Ai, and starts to see things related to the people seeking revenge. Meanwhile, Tanuma, a young woman, is out seeking revenge on her former boss for harming her best friend and misrepresenting money. Nomura Nobuo is a struggling manga artist who works part-time at a food store beside the pool. Every time someone agitates him, he draws stickers for them and puts their face up on his calendar chart. The person who reaches the girl's breasts first will be sent to hell. 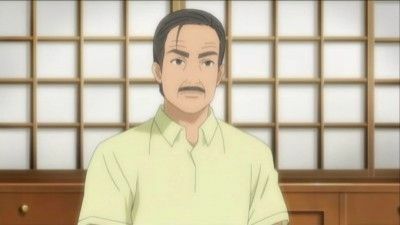 Azusa Mayama feels that chief of investigation, Norihisa who is Akie's father, halted investigation on an automotive accident involving her father and a son of the prestigious Tsujinobashi family, reporting it as an accident to prevent the truth from being known. 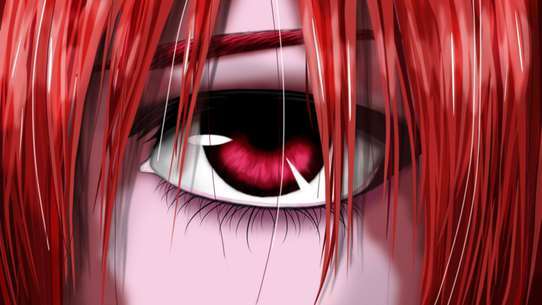 In order to get revenge, she befriends Akie, intending to betray her. Hajime Shibata and his daughter were caught in a fog. 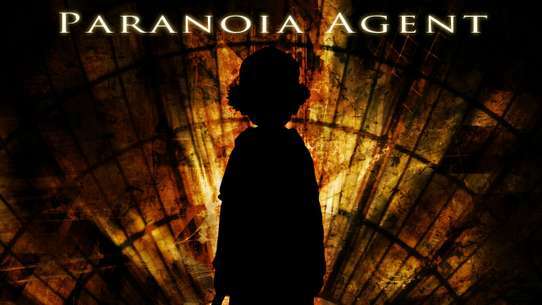 They had found themselves caught in an abandoned sanitarium. There, they found the ghost of a vengeful girl named Nina. 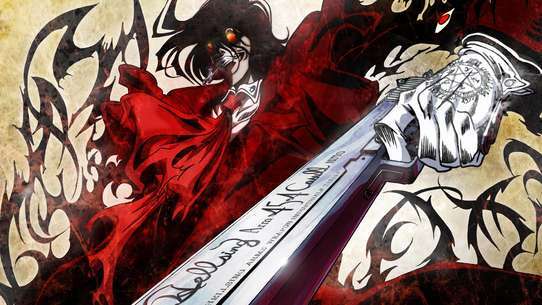 Television psychic, Gil de Ronfell aka L'Enfer claims himself as the Hell Boy, challanges Hell Girl, Ai Enma to a duel. It turns out to be a fatal mistake. A girl named Mari is in an abusive relationship with her former friend (who happens to be identical to her), Juri. Juri contacted The Hotline to Hell because she and Mari had a close relationship that was ruined in her eyes when Mari briefly considered having an upperclassman as her tennis double instead of Juri. Juri has been forcing Mari to do exactly what she says, otherwise she'll pull the string. Ichimoku Ren becomes involved when trying to get more background on Mari and figuring out why Juri hasn't pulled the string yet. Juri gives Mari an album of pictures of them together. After going to get Juri's lunch, Mari runs into Ren and hugs him when he comforts her. 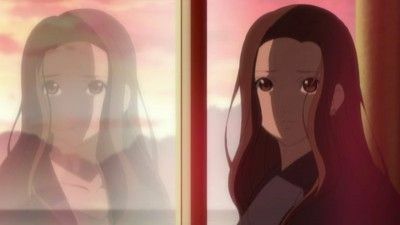 Juri, having followed Mari in order to tell her she's decided to forgive her, is angry that Mari could be close to anyone else and runs off to pull the string. 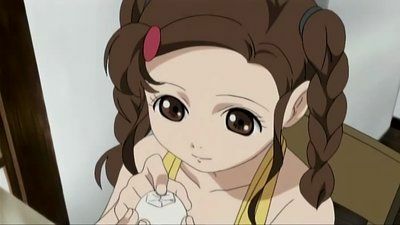 Mari tells her they'll always be together, but at that moment Juri is hit by a car and fatally injured. 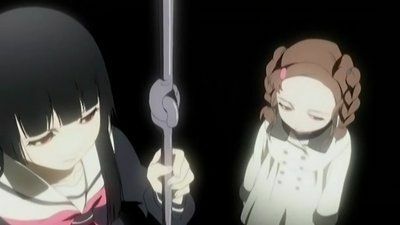 Mari pulls the string on the doll so that they'll be together in Hell and, shortly after she's taken, Juri arrives in Hell. Somehow, Mari has taken the album with her. Ai Enma, the girl from hell isn't just a recent event. This has been going on for hundreds of years. A man named Fukumoto send a man called Okawachi to hell using the Hell Correspondence, or The Hotline To Hell. Hajime Shibata saw him die before him for over fifty years ago. 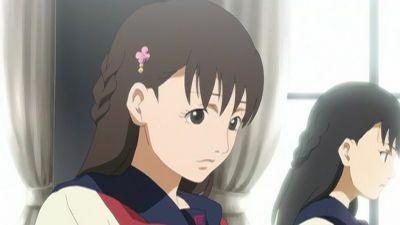 A girl named Nene, contacted the Hell Girl to send her mother to Hell, because she thinks her mother, Honami, kills her father; although the truth is, Honami sends her husband to Hell because he was abusing them (Honami and Nene) eleven years ago. 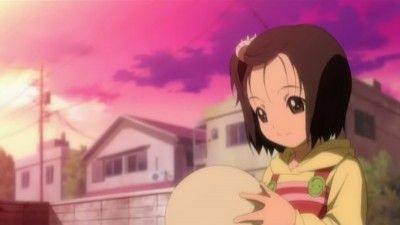 Honami then finds out that Nene is trying to send her to hell, but then kills herself so that Nene doesn't need to go to Hell too. Also where Ren's past is revealed showing that he was once a sword. Yumi and Yuki, identical twin sisters, both work as circus performers. Yuki is much favored than Yumi. While Yuki is pampered, Yumi was abused, both verbally and physically. Because of this, Yumi sends her twin to hell by using the Hell Correspondence. 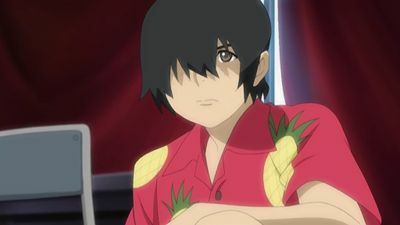 Ougi Emi’s family has changed ever since her brother, Ougi Tatsuya, died in a motorcycle accident. Her mother is ignoring the family to get the city to take the blame for her son's death. 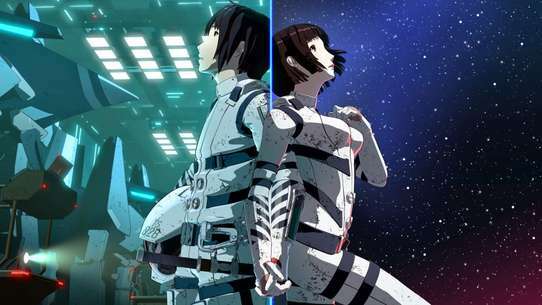 Tatsuya was everything for his mother and Emi tries to help her mother get over it, but her mother continues to be unconcerned for the well-being of her daughter. 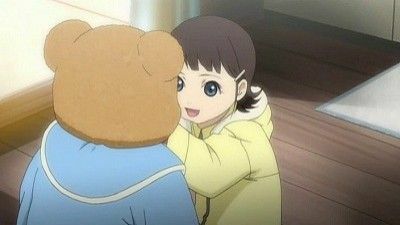 Emi learns that her brother had one of Ai's dolls but hadn't used it yet, now it belongs to Emi. One day her family becomes dysfunctional and she sends her mother to hell. After that, she realizes that she's better off without her mother. A young woman and her father have devoted themselves to the cause of a political candidate running for office. While they complain about how the current government is making everyone poorer and Japan worse, the mother works herself sick running their factory. 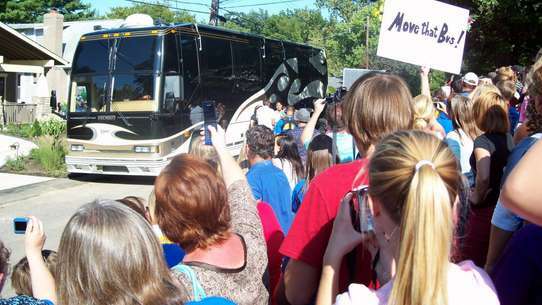 While the daughter goes to see her and misses an important rally, her drunken, angry father causes a scene. Insisting it was her fault, the local campaign manager and her father hire two men to attack her in an alley the current government said they would improve, but failed to. While she's being attacked, Wanyuudo saves her. Returning to the headquarters, she discovers her father went along with the plan. She runs home to send him to Hell, but it turns out her mother (who'd been putting up with years of abuse) already has a contract on him and finally pulls the string on her doll. Kaori has a sister who is the product of her father's affair with another woman. When the love child shows up and demands to be made part of the family, Kaori's friend discovers that she also has plans to murder Kaori for her share of inheritance. 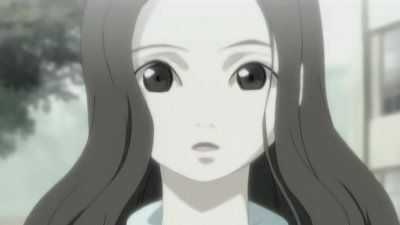 Mina Minato sends her aunt, Fujie Minato to hell after finding out that Fujie had murdered Mina's mother. Mina and her boyfriend was assaulted by Fujie as well. Heartbroken husband, Goro Suetsugu sends his wife to hell after finding out that she is cheating on him. 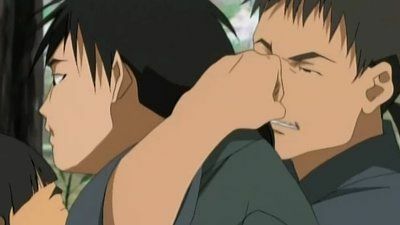 Hajime Shibata had failed to stop him and he ends up telling Goro a similar tale on his late wife, Ayumi.